Our Press Release Distribution service sends your message to over 59,000 journalists, editors, producers and media influencers. 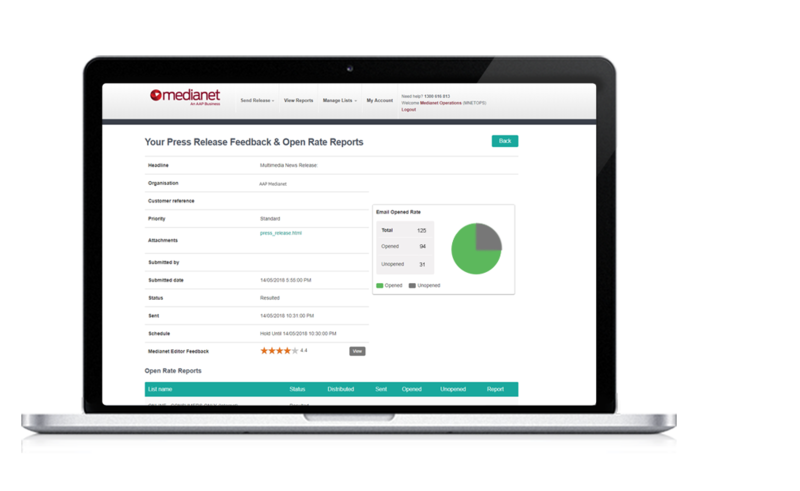 With Medianet’s easy-to-use platform, target your next press release to reach your key media contacts and newsrooms today. Need to send your press release to the media? 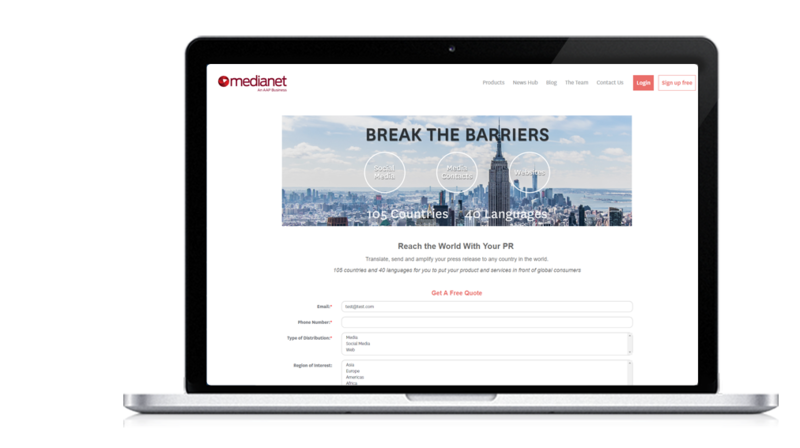 Our pitching portal provides you with access to over 1,400 ready-to-use media lists as well as web and social publishing options. 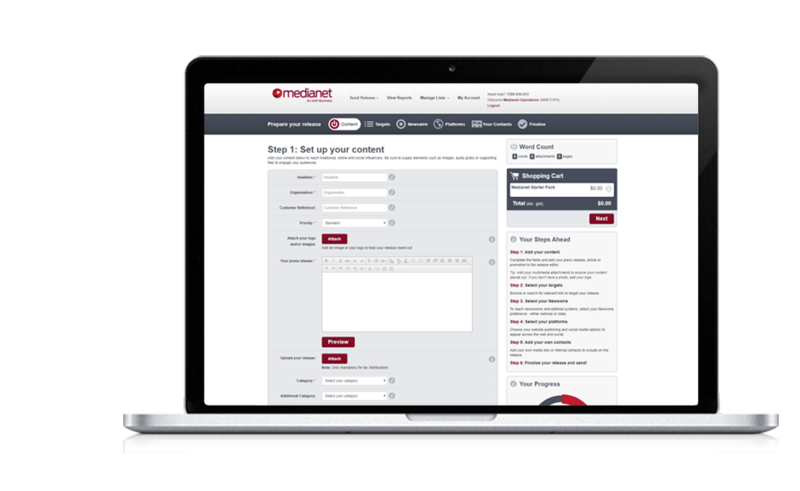 Medianet’s 6-step platform is designed to guide you through the process of sending a press release and to ensure every campaign opportunity is maximised. Discover how many people viewed or shared your press release to ensure your campaign is on track. AAP Medianet’s international press release distribution propels your message globally. As the exclusive Australian partner of Cision’s PR Newswire, our local Medianet team can coordinate international insights, tips and access for you.